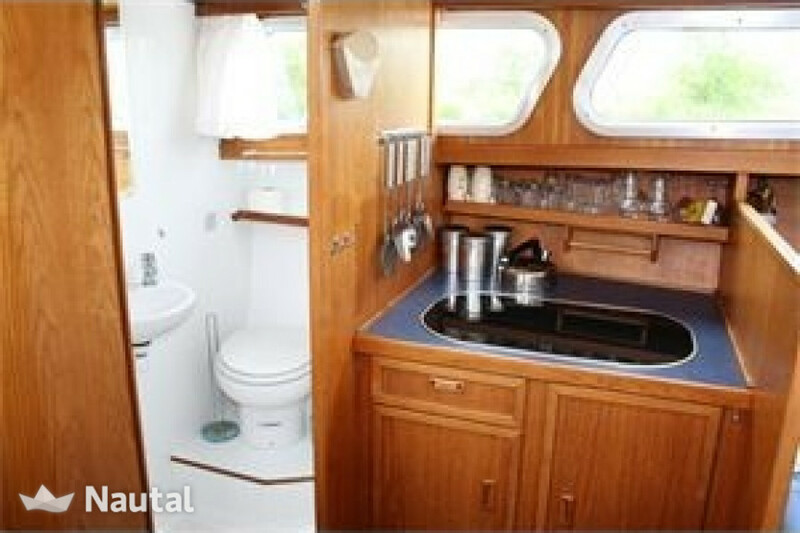 In recent years much has been updated and improved. 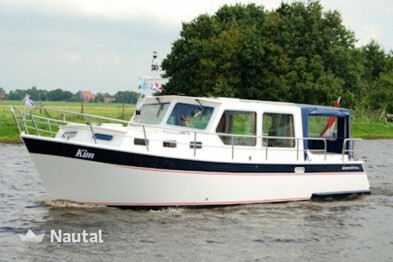 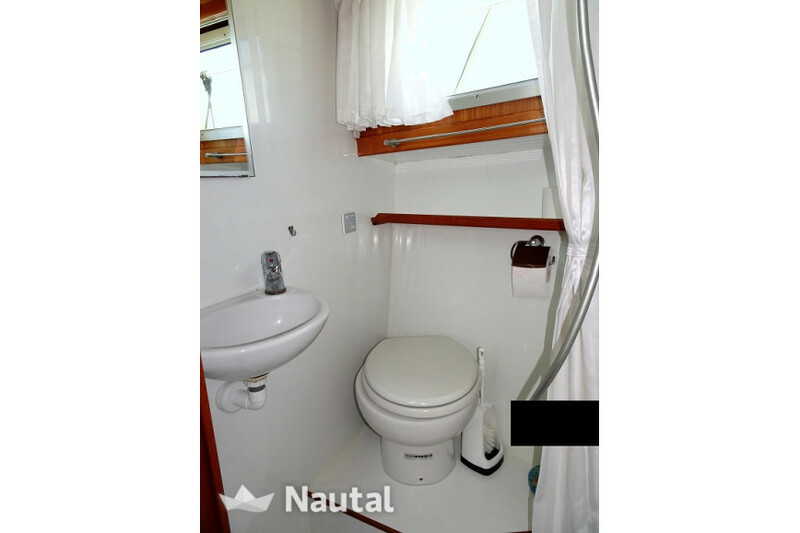 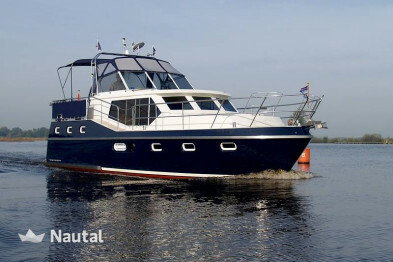 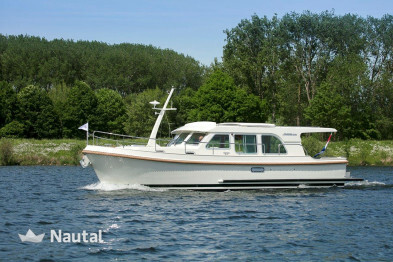 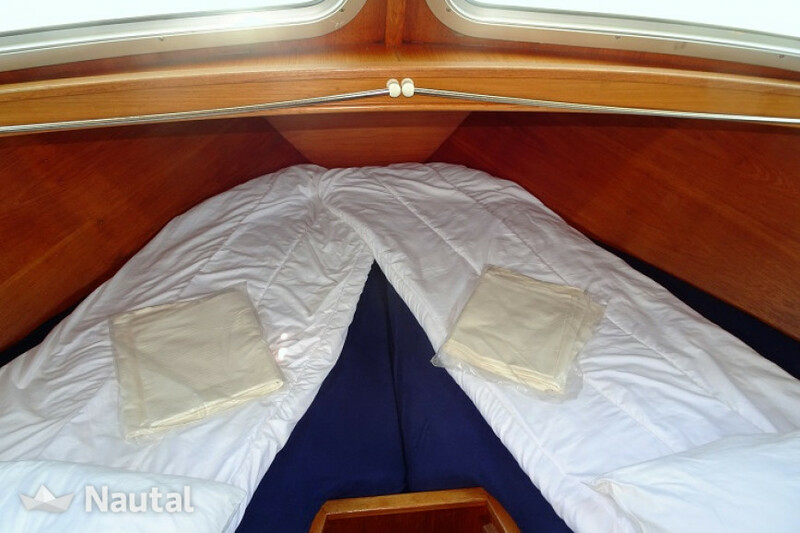 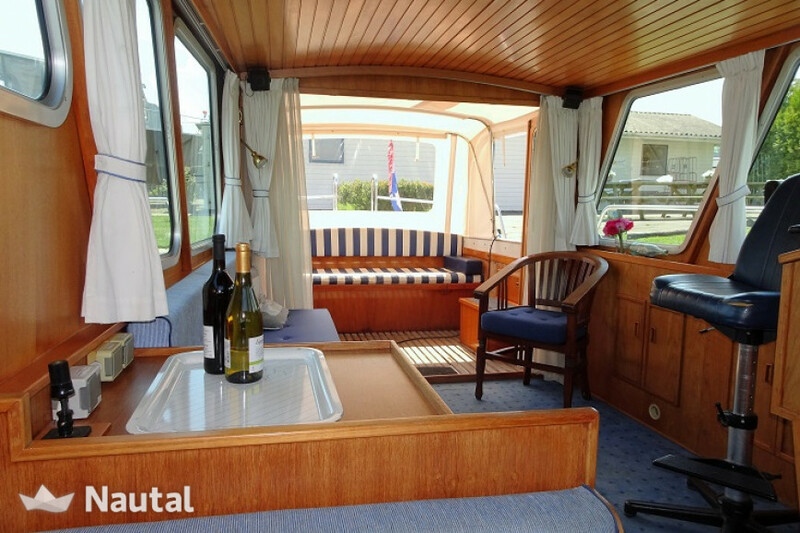 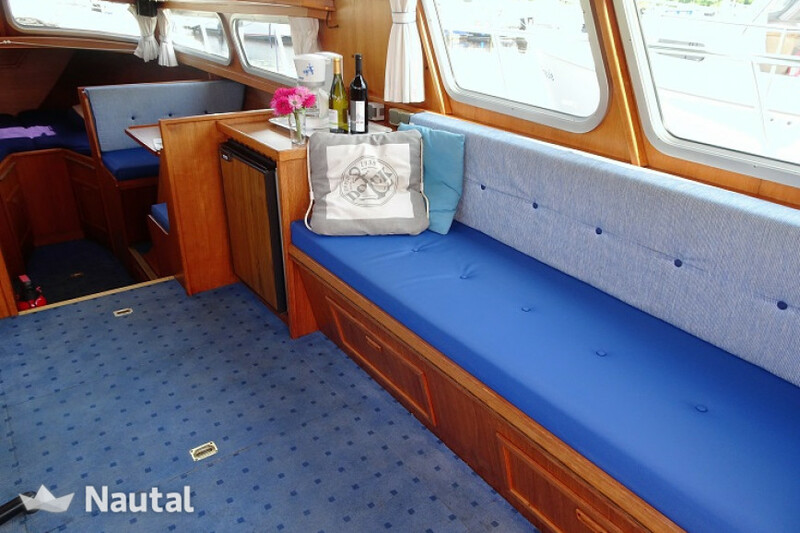 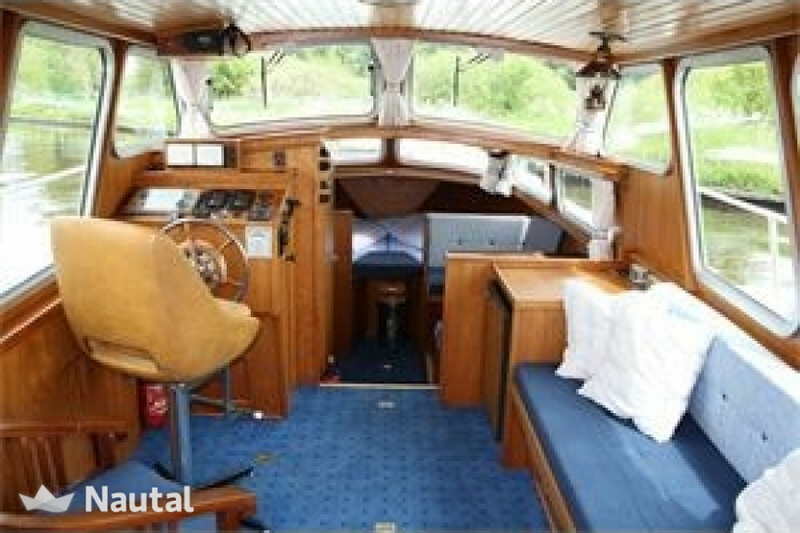 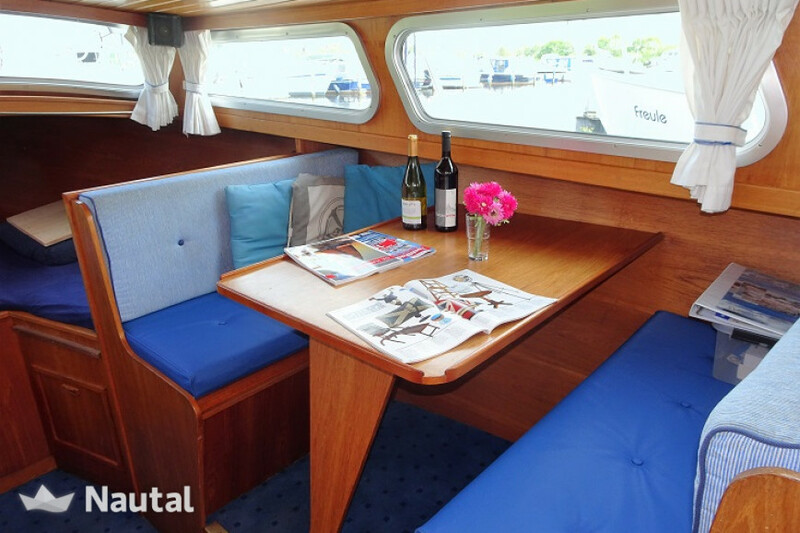 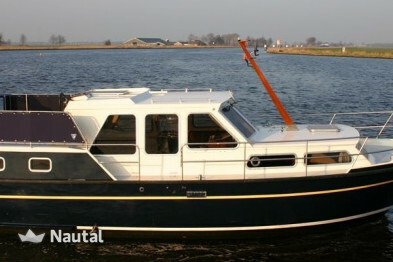 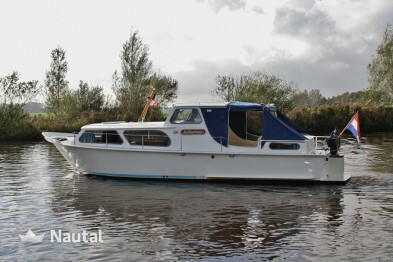 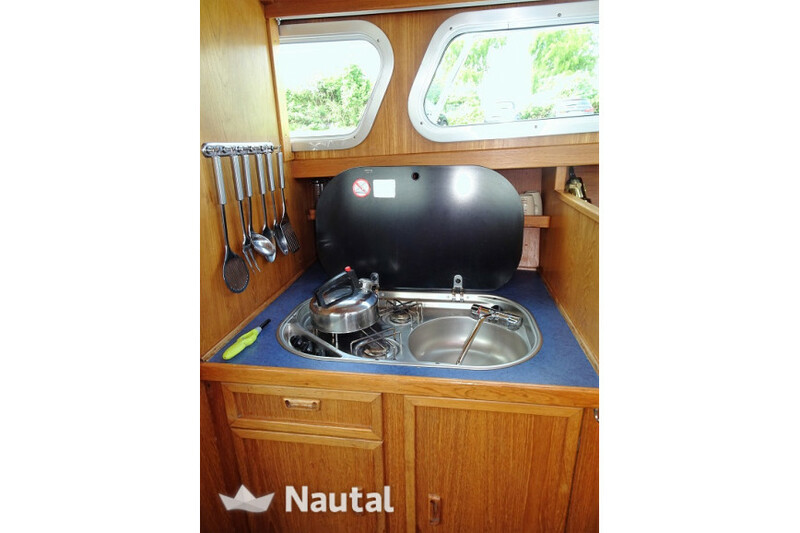 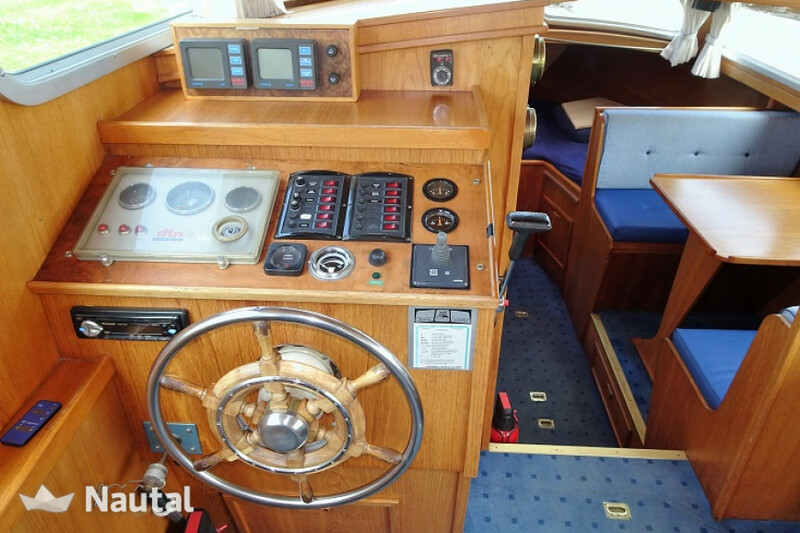 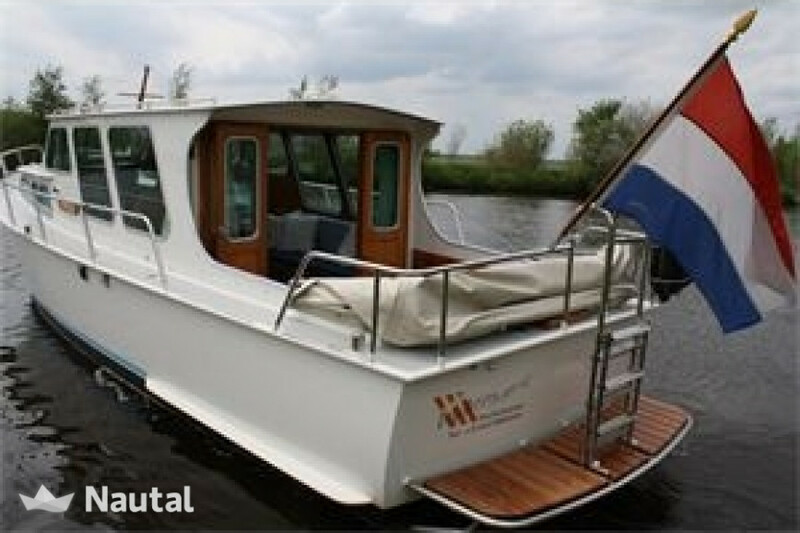 This ship includes a new worktop with sink and gas stove, 40 liter water heater, electric toilet, wet room with hand shower, new upholstery and furnishings, propeller shaft and drive. 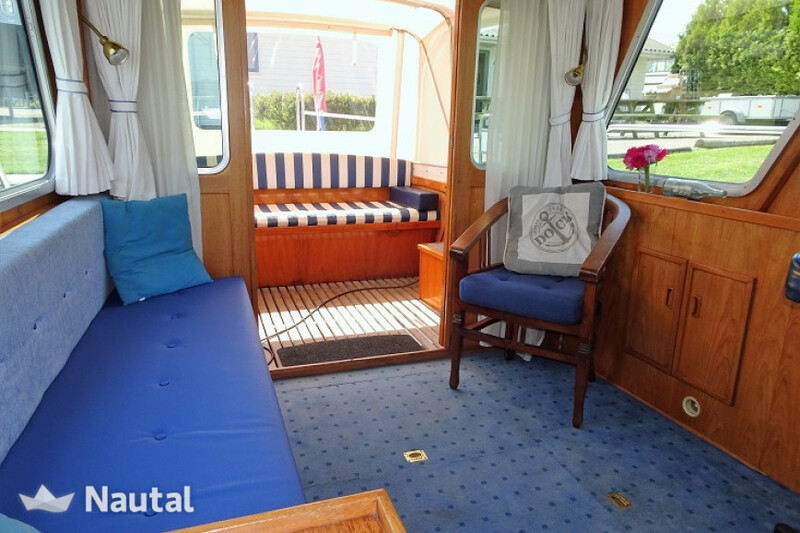 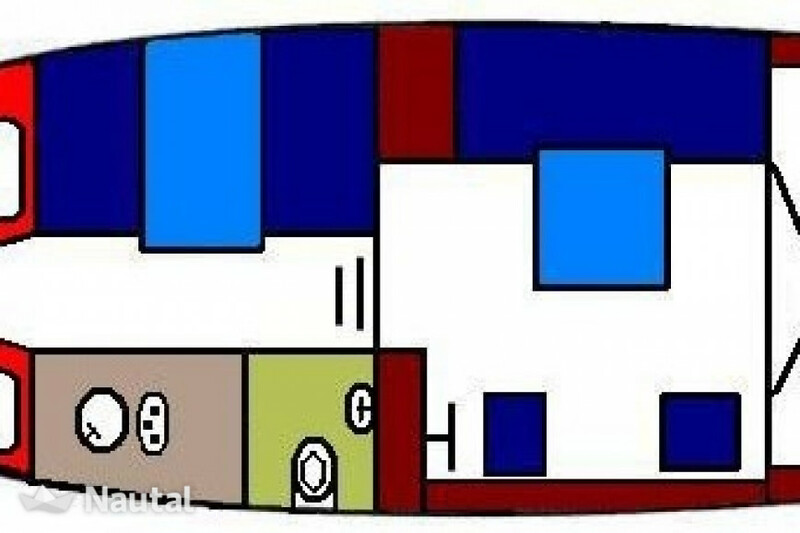 The unique feature of this ship is the lounge with patio doors to the cockpit and a convertible top that can be folded away completely. 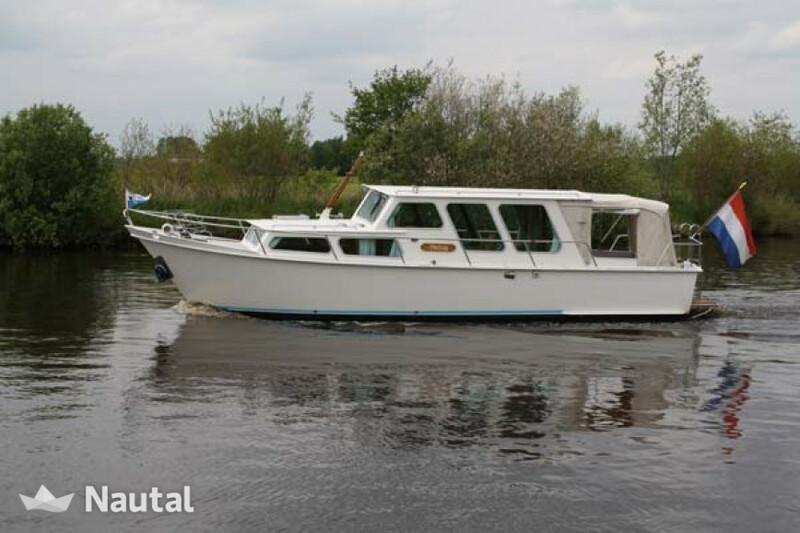 With a clearance of only 2.40 meters is every area of ​​operation, such as the Middelsee Route, the Turf route, the North West and the Route Lyts-Lauwers Route within reach. 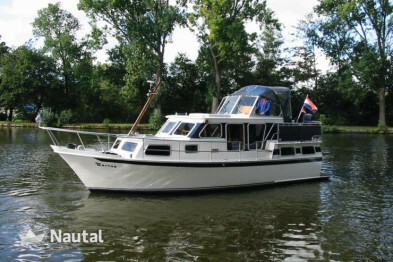 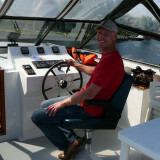 Open en licht in de boot, veel slaapplaatsen.